Whether a tree sustains disease or storm damage, it is simple enough to call in a professional to remove it. However, what is often left behind is an unsightly stump that not only destroys the aesthetic appeal of your property but also creates a major hazard for the surrounding trees and shrubs alike. And who wants to risk shame and/or a lawsuit if your elderly grandmother or the mailman trips over the stump? grinding to Aurora, Newmarket, and surrounding York Region homeowners. Our team is closely familiar with the implications of leaving a tree stump in the ground once the tree itself is gone: In addition to the tripping hazards, an old stump that begins to decay can invite fungal growth and unwanted pests. It can also spread a disease to the healthy greenery on your property. 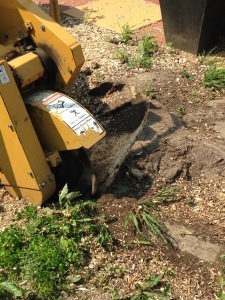 That is why stump grinding is a mandatory part of our removal process. Continual advancements in tree care have made stump grinding significantly quicker and more effective, as compared to the process of removing the tree stump along with its vast root system beneath. 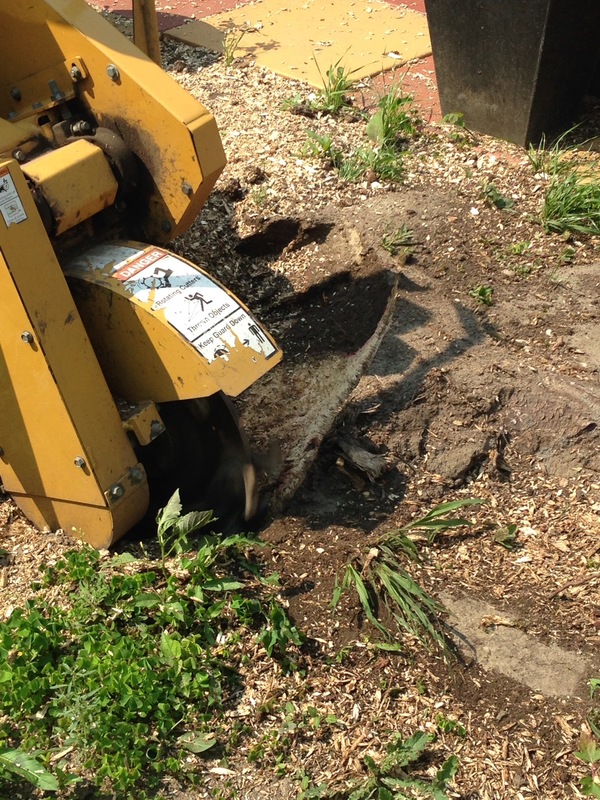 Stump grinding is a process by which a stumping machine is utilized to grind the stump to 8″ below ground level. Then, the remaining hole is filled in with wood shavings or dirt, thereby allowing the remains to decompose naturally without further harm to your property. You can count on our skill and expertise to perform the work with minimal effects on the aesthetics of your landscape. Furthermore, we never fail to obtain all relevant permits that may be required by your city’s bylaws. If you are looking for professional stump grinding in Aurora, Newmarket, or any nearby areas, we welcome you to contact us today. The Sequoia TreeScape team is only one call away at (416) 770-8733, ready to make your outdoor space safe and healthy once more!